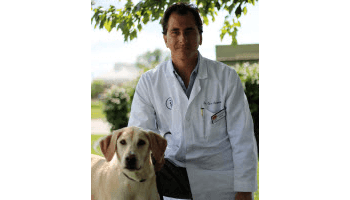 Dr. Girouard earned his Doctorate at the University of Illinois in 1998 and started working at Stateline directly following graduation. Dr. Girouard is the Medical Director at Stateline and enjoys orthopedic surgeries. Tobi graduated from Eastern Illinois University with her Bachelor’s degree in Family and Consumer Sciences. After graduation, she pursued a 20-year career in retail management. 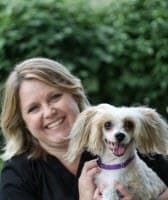 Tobi joined the Stateline Hillcrest Animal Hospital team, in April 2017, as the hospital manager. 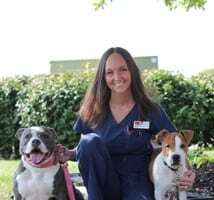 She also manages Danville Small Animal Clinic, Stateline’s sister entity. She passionately believes in Stateline’s mission to provide the highest quality of patient care in a compassionate environment, while also providing exceptional client service and education. Joyce went from being a client of ours to a member of our veterinary team and never looked back. She has been with us for four years now and enjoys her work very much. Joyce has Chung, the Chinese crested that she is pictured with, as well as two German Shepherds, Ranger and Mocha. Her newest pet family addition is a black and white kitten named Bandit! She works up at the front desk at our office and also helps with our boarding guests. 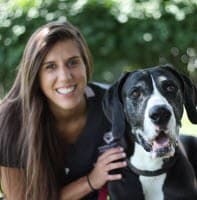 Kayla has been with Stateline Hillcrest Animal Hospital since 2008, so she has 11 years’ worth of experience and knowledge when it comes to Veterinary Medicine. Kayla is also our Inventory Manager and helps out in all areas of the hospital. 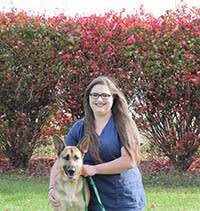 Kayla is currently furthering her commitment to veterinary care by studying to become a Certified Veterinary Technician. Alexis has been with Stateline since 2015. She is also a volunteer/employee for the Humane Society of Danville. Alexis has great knowledge of animal care and particularly enjoys taking care of our boarding patients. She has a great passion for animal welfare. Alexis is pictured with her German Shephard Jasmine. Emily has worked at Stateline for six years now and has really found her niche. Emily is a very well rounded team member. She does everything from cleaning cages and answering phones to assisting the doctors with procedures back in the treatment area. 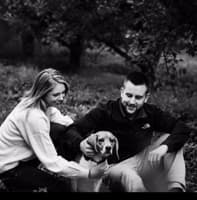 Emily has been at Stateline Hillcrest Animal Hospital since 2017. She loves to help assist our doctors and educate our client at the front desk. Emily is also furthering her commitment to veterinary medicine by studying to become a Certified Veterinary Technician. ​Rhyann came to Stateline all the way from Colorado! She completed her certification at the grooming academy in Colorado with PetSmart. 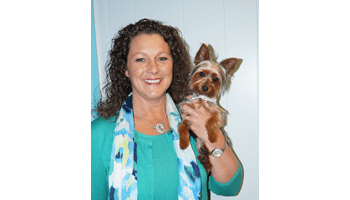 Upon moving to our area in 2016 she decided to join Stateline’s team as a full time Pet Groomer. Rhyann has three dogs of her own and one horse whom she loves to spend her time with when she’s not at Stateline beautifying pets! She is pictured with her Australian Shephard, Shania. Megan has been grooming pets part-time at Stateline since 2013. 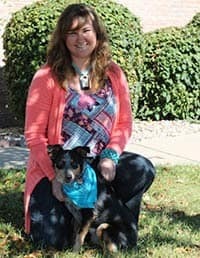 When she’s not cutting hair at Stateline she enjoys being at home with her child and German Shephard, Kaiya.